Polluting substances in natural sources of water have their origins in a great variety of places. For convenience, these sources of contamination of natural waters are classified here natural, agricultural, mining, municipal and industrial. This type of pollution is either accidental or occasional. Aerial contaminants, like gases and dusts, get transferred to a body of water in the form of rainfall, soil silt, stripped from the land by heavy rainfall, or melting snow, or as soluble salts, leached from the earth by surface streams. Leachates from animal excreta, decaying bodies of plants and animals, and the decay of large quantities of organic matter as in swamps or deep ponds also introduced appreciable quantities of microorganisms. Soil and silt-washings from land surfaces were mentioned earlier as a form of natural pollution; agricultural development of land may multiply the quantity of such pollution many fold. Use of fertilizers, insecticides, herbicides and weed killers, in agricultural practices, poses serious pollution problems as most of them are resistant to natural degradation. Warrick has described stream pollution that resulted in a series of fish kills, caused by the use of insecticides in the cotton fields of northern Alabama during the late summer of 1950. Fines or tailings from ore washing are disposed off in water a suspension, which is ultimately transferred to the natural stream and which, thus, gets polluted. In addition to inert suspended solids, mining operations, sometimes, produce soluble toxic materials. An outstanding example of this stream pollution which is today one of our major unsolved problems, is the acid drainage from coal mines. Municipal wastes, mainly domestic sewage, includes the discharges from toilets, wash rooms, kitchens and similar areas in dwellings, institutions, commercial and industrial buildings. Its principal pollutional characteristics are pathogenic bacteria, suspended solids and oxygen consuming organic matter. In urban areas, these are generally disposed of collectively, thus, overburdening the receiving water sources. Water is an essential raw material in almost all manufacturing plants, though only a small part of it may appear in the final product. The remainder becomes a waste material contaminant, to a smaller or larger degree, depending on its usage in the plant. 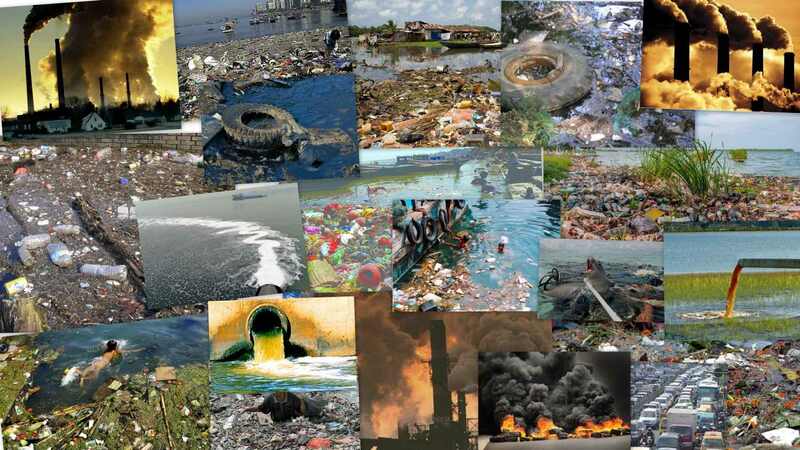 After entering the natural water resources, it contaminates them. Industries which are considered the principal sources of pollution may be classified as apparel, food and drugs, chemicals, materials and energy.